We regret to announce that MEZZOGIORNO will be closing it’s doors at 2791 Broadway. Our final day of service will be Sunday, October 14th. While we are saddened to be saying goodbye, we are also grateful to our many loyal friends and patrons whom we have served over these last three years on the Upper West Side and throughout our many years in SoHo. Indeed, the past 31 years have been a grand adventure in this greatest of cities and we thank you all for being a part of it. One Hundred artists were commissioned to interpret the restaurant's theme of warm summer days. Their Cornell-like boxes -- containing paintings, objects and collages -- form an intriguing puzzle that is on display along the walls of the dining room. The dramatic centerpiece of the interior is the giant ceramic mask that adorns the wood burning pizza oven. All the interior furnishings were imported from Italy, including the antique Florentine bar. 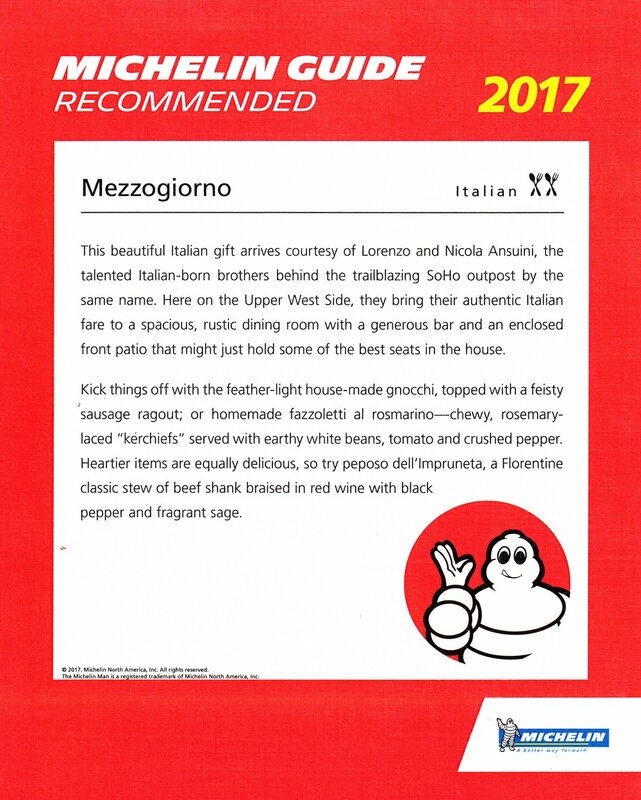 Authenticity and simplicity have been the central themes of Mezzogiorno's cuisine and philosophy since the day we first opened. 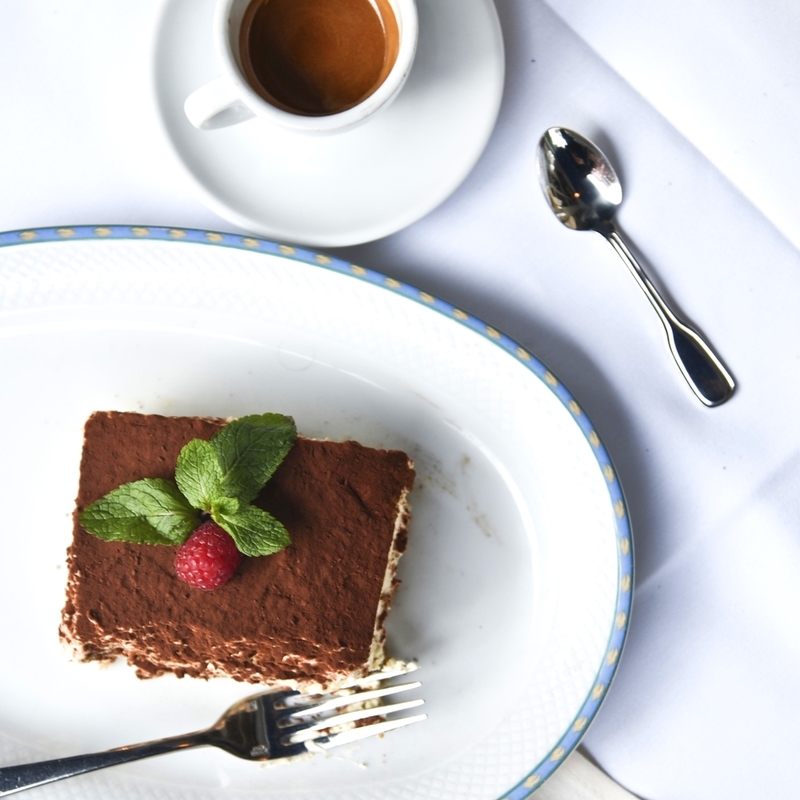 Our menus offer a selection of both classic and innovative dishes. These enticing recipes are prepared with the highest quality ingredients which follow the seasons, a culinary approach that ensures the produce is at its peak both in flavor and freshness.